I am just a little over excited to get paid next week! I have a few items, previously owned and totally new to me that I will be purchasing and reviewing! Benefits Porefessional primer. I have heard amazing things about this and it was also voted best for oily skin in Marie Claire. Urban Decay Eye Potion Primer. Again, another product I can’t wait to get my hands on and team up with my new shadows. Benefit Dandelion Gloss. This is a product I’ve previously owned and I LOVE it so much. Benefit Coralista Gloss. This was also previously owned, but just a sample. Can’t wait to have this back in my bag. Urban Decy Naked Pallette. I have been longing and longing for this materpiece! Really looking forward to experiment with it! Mac Concealer Pallette Light. I’m going to be using this for contour and highlighting as well as concealer, I hope it’s as good as I’ve heard! 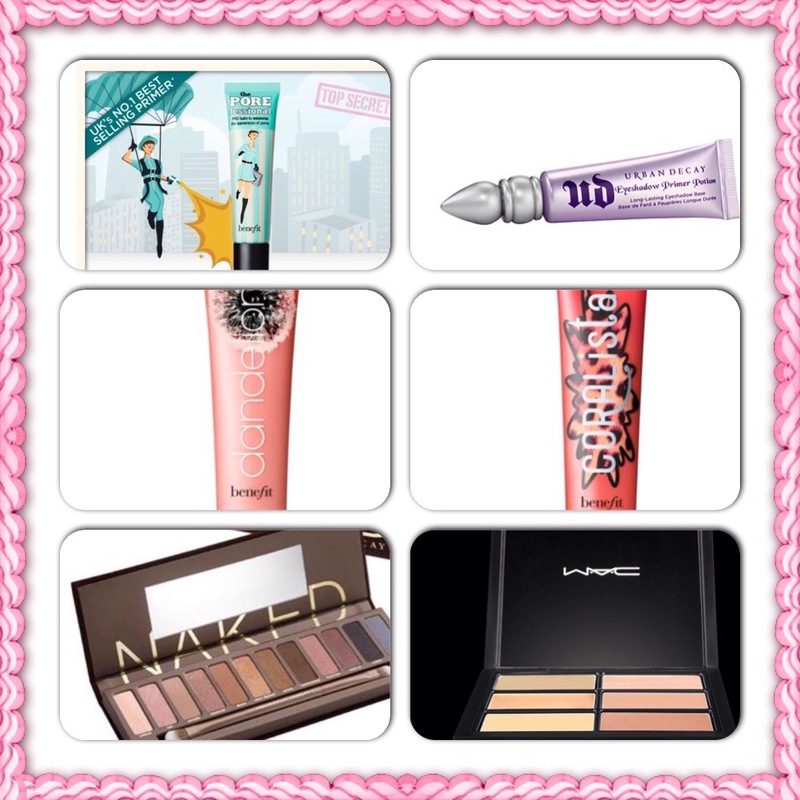 I have the Urban Decay palette and it’s such a staple in my collection! It’s very versatile and you can create so many different looks with it! From day to night ❤ I'm sure you are going to love it as much as I do! I also own the Porefessional primer from Benefit. I have a love hate relationship with this one. I find that it only works with certain foundations such as the mat velvet from Make Up For Ever (i love pairing these two). Though, I've tried it with others such as M.A.C. foundations for example and my face gets oily. However maybe it's just me, I hope it works out for you though! 🙂 I also own the Urban Decay primer potion and i looooove it, its my go to primer you'll love it plus it will last you a long time because just a teeny tiny bit goes a long way ! So gorgeous arnt they! Feel just like water! !